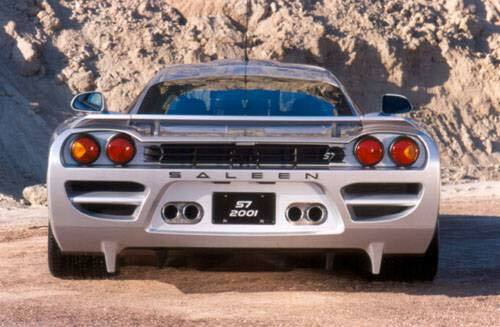 The Saleen S7 is Saleen's first car built entirely by them, and it sure looks like a winner. This car is simply amazing and looks fantastic. It's a long and low car with tons of air vents used to cool off the massive engine. 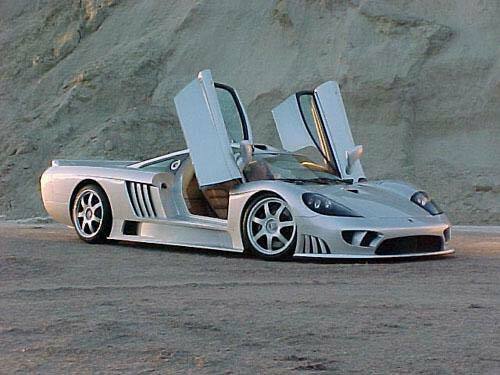 The Saleen uses gull-wing doors, which add to the supercar look. 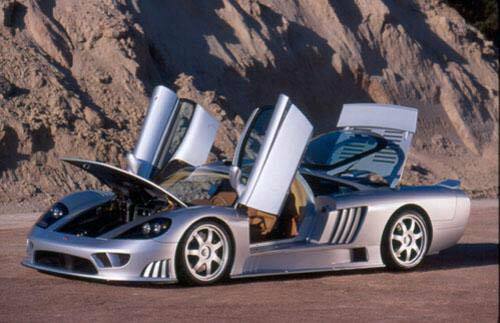 The engine used in the S7 is a 550 horsepower all-aluminum 7.0 litre V8. This engine pushes the car from 0-60 miles per hour in just 3.8 seconds, and allows the car to reach speeds of up to 200 mph! 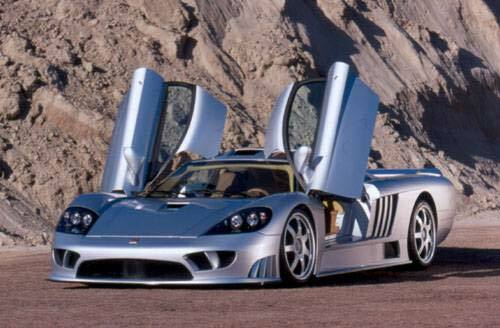 The Saleen S7 is also quite reasonably priced at $ 375,000, which is about 1/3 of the price of the McLaren F1! This car has it all and is sure to become VERY popular.